Volcanoes are unquestionably one of the most spectacular and awe-inspiring features of the physical world. Our paradoxical fascination with them stems from their majestic beauty and powerful, sometimes deadly, destructiveness. Notwithstanding the tremendous advances in volcanology since ancient times, some of the mystery surrounding volcanic eruptions remains today. The Encyclopedia of Volcanoes summarizes our present knowledge of volcanoes; it provides a comprehensive source of information on the causes of volcanic eruptions and both the destructive and beneficial effects. The early chapters focus on the science of volcanism (melting of source rocks, ascent of magma, eruption processes, extraterrestrial volcanism, etc.). 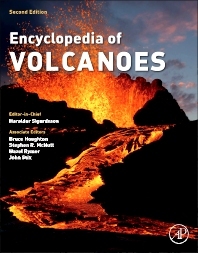 Later chapters discuss human interface with volcanoes, including the history of volcanology, geothermal energy resources, interaction with the oceans and atmosphere, health aspects of volcanism, mitigation of volcanic disasters, post-eruption ecology, and the impact of eruptions on organismal biodiversity. 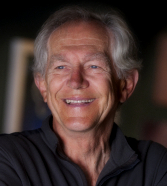 Haraldur Sigurdsson is emeritus professor at the Graduate School of Oceanography, University of Rhode Island in the United States of America. He has worked on volcanic processes and the geochemistry of volcanic rocks for over fifty years. His studies have in part been focused on the impact of volcanic activity on human populations, especially his work on Vesuvius in Italy, Tambora in Indonesia, El Chichon in Mexico and studies of deadly gas bursts from Cameroon crater lakes. He has also studied the global environmental effects of meteorite impacts, such as the one that marks the Cretaceous/Tertiary boundary. His books include Melting the Earth, accounting for the evolution of ideas about formation of magmas and the origin of volcanic eruptions. Haraldur is currently director of the Volcano Museum in Stykkisholmur, Iceland. Bruce Houghton is the Gordon MacDonald Professor in Volcanology at University of Hawaii at Manoa and Hawaiian State Volcanologist and a Fellow of the Royal Society of New Zealand. He is also Science Director at the National Disaster Preparedness Training Center at University of Hawaii. Previously he had a career of twenty five years as a volcanologist in New Zealand, culminating in leading the scientific response to the 1995-96 eruption of Ruapehu volcano. Bruce has published over 220 research papers in international journals and has worked in Alaska, Chile, El Salvador, Greece, Hawaii, Iceland, Italy, Germany, Nicaragua, Thailand and New Zealand. Steve McNutt is a Professor in the School of Geosciences at the University of South Florida (USF). He has worked on volcanic processes using seismology, infrasound, and lightning instruments for over 35 years. He worked half time for the Alaska Volcano Observatory from 1991-2012 and was closely involved in monitoring efforts for eruptions at Spurr, Pavlof, Shishaldin, Augustine, Okmok, Kasatochi, and Redoubt volcanoes. He coordinates seismology research at USF, and presently supervises 3 graduate students and a Post-Doc. His research interests include: 1) studies of source and propagation effects for volcanic tremor, low-frequency events, and explosion earthquakes; 2) volcanic hazards assessments in Alaska, California, and Central America; 3) the mechanical behavior of volcanoes, including periodicity of eruptions, and the effects of earth tides, sea level variations, and tectonic stresses on triggering eruptive activity; 4) volcano infrasound; and 5) volcanic lightning. From July 1999 to July 2007 he served as Secretary-General for the International Association of Volcanology and Chemistry of the Earth's Interior. Hazel Rymer is presently the Dean and Director of Studies in the Faculty of Science and Profesor of Environmental Volcanology. Hazel has developed and championed the use of microgravity as a tool for monitoring active volcanoes. She has used this method to identify sub-surface processes at calderas in a state of unrest and at persistently active volcanoes and this has given geoscientists considerable insight into the range of mechanisms responsible for initiating and sustaining volcanic activity. The technique Hazel pioneered is now the standard method for gravity monitoring on volcanoes; it remains the only way to quantify the sub-surface mass changes that occur before, during and after eruptions. John Stix has studied active volcanoes for 26 years, specializing in volcanic gases, eruption mechanisms, and the impact of volcanic activity. He teaches undergraduate and graduate courses in volcanology, natural hazards, and environmental geology. He also is involved in field courses, where he exposes students to hands-on observations of natural processes such as volcanic eruptions and floods. 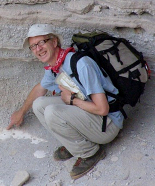 He has been involved in many training courses and workshops in Canada, the US, and Latin America to teach volcanology. He has collaborated extensively with colleagues in Colombia, Costa Rica, Nicaragua, and Ecuador in volcano studies and volcanic hazards. From 2003 to 2010 he was the Editor-in-Chief of the Bulletin of Volcanology, the leading international journal related to the study of volcanoes and volcanism. He is currently part of an international team to drill into an active silicic magma body beneath Krafla volcano in Iceland. Excellent comprehensive overview of volcanoes, volcanic rocks and volcanic processes. The book is very inviting to read, also for the non-specialist, thanks to accessible writing and many illustrations.